Election Day 2016 has come to its end, as the final votes continue to be counted. The race took an unexpected turn as Republican nominee Donald Trump essentially dominated in the Rust Belt and picked up a lot of electoral votes along the way. Democratic nominee Hillary Clinton has not addressed her supporters about the results yet. 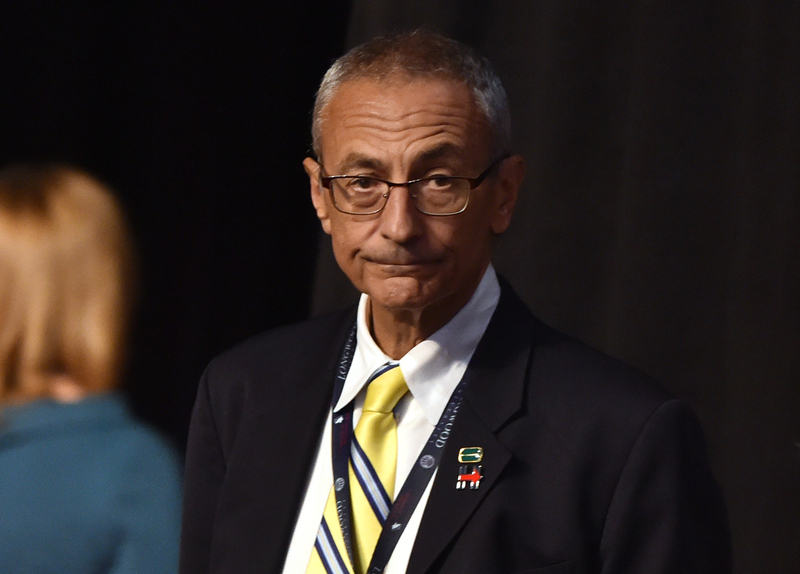 But speaking at the Javits Center, Clinton Chairman John Podesta addressed the Democratic nominee's supporters in what sounded like a hopeful speech. The race is not yet over, however, as votes continue to be counted in various states across the country and specifically on the West Coast, where Clinton is expected to pick up some support. While Trump may just cross the threshold of necessary electoral votes to call his campaign a victory, it is still possible for Clinton to win the popular vote, leading into Wednesday morning. That's what Podesta wanted supporters to know, as he offered short remarks and reassuring final words before leaving the location of Clinton's Election Day party. Basically, what Podesta wanted supporters to know is that it's not over for Clinton, she's not conceding tonight, and there are still votes to be counted. Well, folks, I know you've been here a long time. And it's been a long night and it's been a long campaign but I can say, we can wait a little longer, can't we? They're still counting votes and every vote should count. Several states are too close to call, so we're not going to have anything more to say tonight. So, listen. Listen to me. Everybody should head home, you should get some sleep. We'll have more to say tomorrow. I want every person in this hall to know, and I want every person across the country who supported Hillary to know that your voices and your enthusiasm means so much to her and the camp and to all of us. We are so proud of you. And we are so proud of her. She's done an amazing job and she is not done yet. So thank you for being with her, she has always been with you. I have to say this tonight, goodnight! We will be back, we'll have more to say. Let's get those votes counted and let's bring this home. Thank you so much for all that you have done. You are in all of our hearts, thank you.